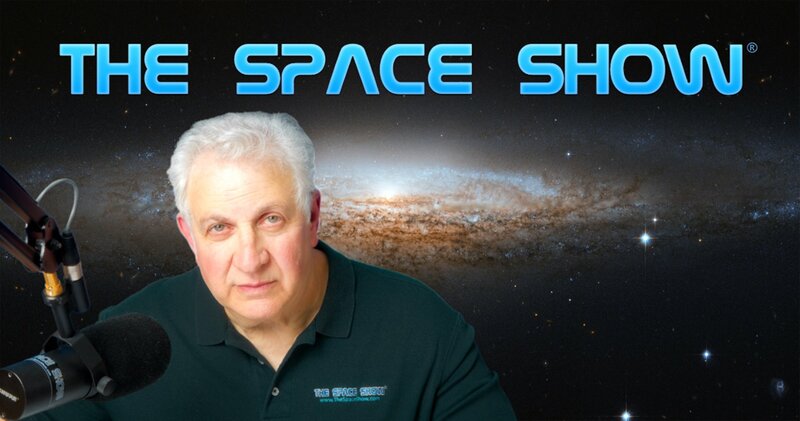 We welcomed back to the show Ed Wright to discuss the upcoming Space Studies Institute 50th Anniversary event, the "SSI:50 The Space Settlement Enterprise" two day conference to be held in early September at the Museum of Flight in Seattle. Please visit the event website for all the details at www.eventbrite.com/e/ssi-50-the-space-settlement-enterprise-tickets-55089185236. I suggest you follow along with us as Ed talked about the event during our one segment 64 minute program. Please note that there were audio issues with Ed's phone line resulting in redialing him midway through the discussion with the hope of connecting with him on a better phone line. The Space Show apologizes for these problems but cell phones do not always enable quality audio. We started the discussion with Ed talking about his upcoming presentation on the SSI event at the Space Access Society Conference later in April this year. Almost at the start of Ed's comments, he got an email from Jim asking him about the SSI Mach thruster workshops and the status of the Mach research. Both Ed and I spent a few minutes talking about the Mach work by Dr. Jim Woodward and the SSI Advanced Propulsion Workshop. Another question quickly came in asking Ed when the 2018 workshop papers would be posted on the SSI website. A few minutes later, Robin sent in an update to let us all know that the 2018 workshop presentation "were published on SSI's YouTube channel yesterday. Look for the Playlist called 2018 Advanced Propulsion Workshop." Ed then jumped in to describing the upcoming two day event at the Museum of Flight. We learned that the two day event would consist of six panels which Ed identified for us plus they are listed on the above conference URL. The plan is for there to be three panel discussion on Monday followed by an additional three panel discussions on Tuesday. Ed talked about conference logistics including nearby hotels, the SEATAC airport, lunches at the conference and the need to get advanced lunch tickets as the number will be limited, In addition, Ed was asked about networking opportunities at the SSI vent. In response to a listener question, he said that panel participation was by invitation only but at this time, he was unable to identify the panel participants for us but he will do so as we get closer to the event. In response to another question, he was unsure at this time about program streaming or archives. Listeners asked Ed about settlement opportunities for the Moon, Mars and orbital locations. Don't miss what had to say in response to these questions. The topic of space solar power came up and Ed said it would be examined for its economic viability now and in the future. Another listener asked Ed if only the US was involved in space settlement or if there was an international aspect to it. Ed said it was primarily US but that there would be participants from outside the US at the event and international aspects of space settlement will grow over time. Another listener asked him about his earlier comments on the need for space transportation. The listener wanted to know if chemical rockets would be sufficient or if some form of advanced propulsion might be needed. You might be surprised by Ed's response. As we were nearing the end of the program, other topics that were mentioned including low radiation orbital space station habitats, Mars settlement, L4 and L5 station locations, and the need to garner public support for space settlement. Ed had much to say about the matter of garnering public support, including that he did not think it would be a driving factor. Be sure you hear all of his comments regarding the need for public support for space settlement. Marshall called before we ended the program to inquire about there being in-depth discussions about space station design and settlement engineering. Don't miss Marshall's comments and his discussion with Ed on these topics. Before ending, Ed went over the conference logistics again for Sept. 9 & 10, 2019 at the Museum of Flight at Boeing Field in Seattle. Please post your comments/questions on our blog for this show. You can get more information on the event at the SSI website, www.ssi.org. You can reach Ed through the event website or me.